Demolition may very well be the most exciting and speedy phase of construction. 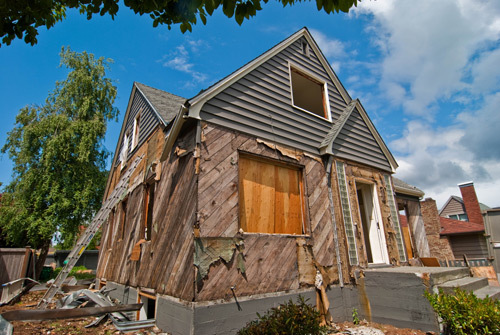 For a complete demolition, a home can come down and be entirely removed from the site in a day or two; for a thorough remodel (where large portions of the structure are maintained) the entire demo process can be completed within a week. 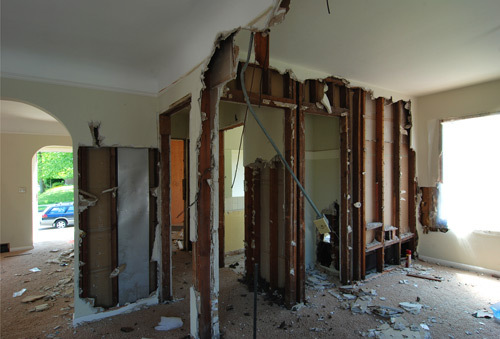 But while demolition is typically fast and messy, it’s not necessarily mindless and uncomplicated. 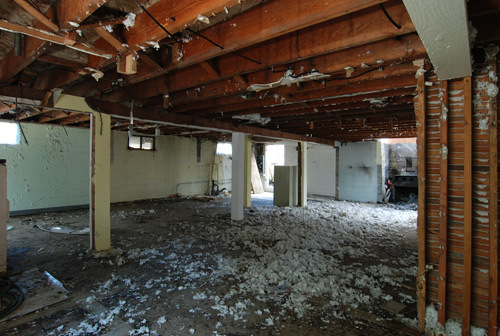 There’s actually quite a bit to know about demo; beginning demolition without a clear strategy can have significant time and financial repercussions later. 4. Asbestos procedures are a big deal. Nothing will shut down a project quicker than an asbestos violation, so it’s worth doing your homework. There’s a couple of key items worth highlighting for single family residences as they can save time and money on a project; if asbestos is identified it can be left in place and encapsulated to avoid the costly inspections and removal procedures; also, a homeowner who occupies the house can remove the asbestos themselves if they feel comfortable doing so. There are procedures for each and the requirements vary from one jurisdiction to the next. 5. Don’t try and live in your house during demo. There’s going to be a layer of dust no matter what. If you’re the type who’s sensitive to a bit of filth, it’s a great time for that trip to the tropics or just a cheap hotel. 10. You’d be surprised how many items and materials can be reused or recycled from the demolition of a home. The RE-store takes items like appliances, windows and cabinets if they’re in decent shape. These offer tax deductions that can add up over the course of a project. This entry was posted in 337-342-5600, abbeville, broussard, Call Now, Compactable Dirt, Contractors, Delivery, Dirt, dirt hauling, dump truck, duson, Fill Dirt, Fill Dirt Delivered, Gravel, hauling, Home Owners, la, Lafayette, Lowest Prices, materials, maurice, milton, new iberia, rayne, Same Day, scott, youngsville and tagged broussard, Commercial Account Discounts, Contractors, Delivery, demolition, dirt hauling, dirt work, Dump Truck For Hire, excavation, hauling, Home Owners, Lafayette Louisiana., Lowest Prices, scott, site work, youngsville. Bookmark the permalink.